If I were writing a click-baity headline, I’d follow it up with you WON’T BELIEVE what’s on page 149. I’m not, so I’ll just tell you: it’s Orks. 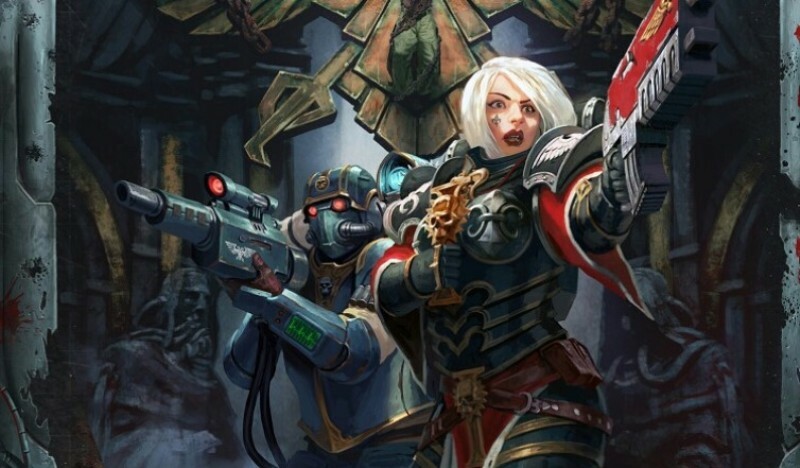 The Wrath & Glory preorder is coming to an end–you only have until the 30th of July to get your pre-orders in. But then you don’t have much longer to wait to get your regular orders in, because the game will be at Gen Con. 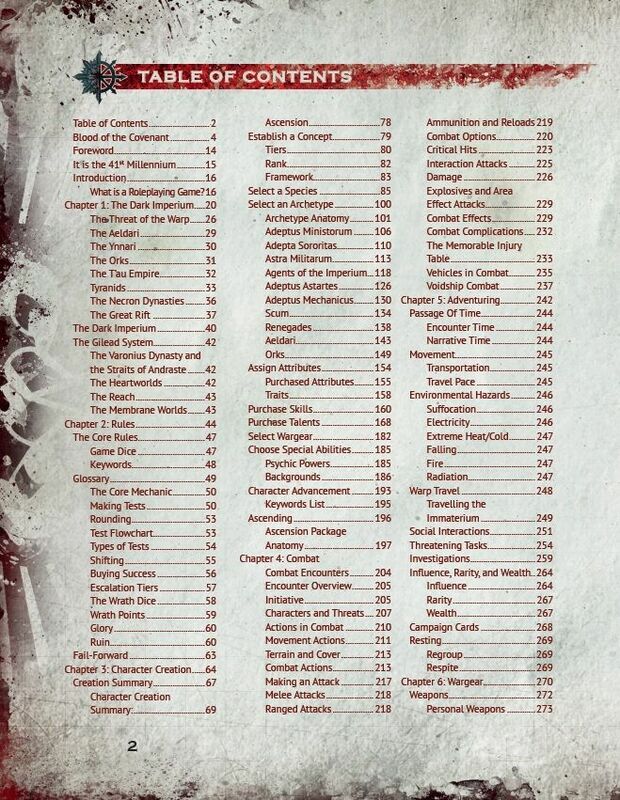 For now though, as we careen towards an end to pre-orders and a new beginning, enjoy this table of contents. Fix your gaze upon these works, ye mighty, and despair. Actually don’t, because this seems radical. Seriously, Orks, Aeldari, Astartes–though for all of that I’m most excited for “Scum.” Like, I really want to play some poor sap of a Hive Ganger who thinks he’s a big fish that spends the whole game seeing just how wrong he is. I also desperately want to know what Interaction Attacks are. 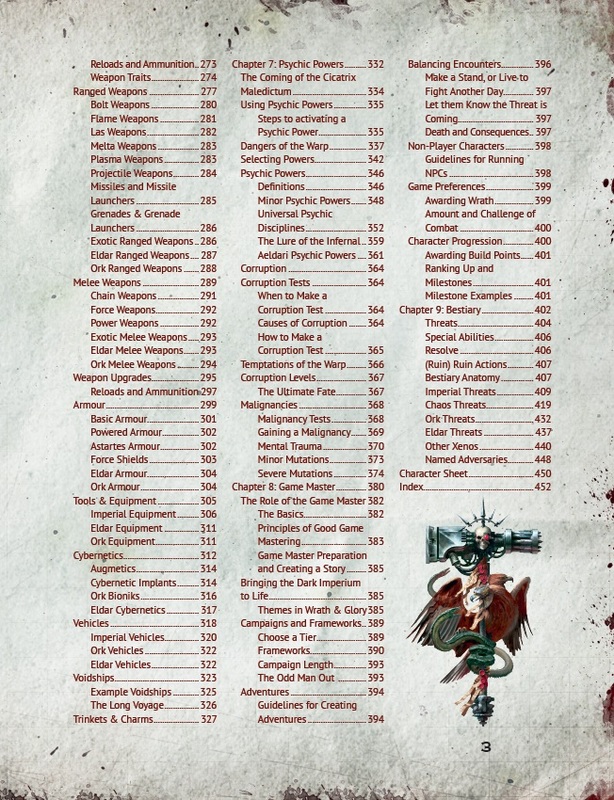 As you can see, they’ve crammed A LOT of 40K in to just 452 pages. So, uh, big book gang. This one’s got it all. Cybernetics? Yup. Ork vehicles–WHY WOULD YOU HAVE ANY OTHER CHAPTER. Time to go round up some Boyz and a Trukk and go looking for a good brawl.